This park offers remote camping only. All sites are only accessible by boat (paddling). 1394 Green River Dam Rd. Pets are permitted throughout the park. Group reservations can only be made by calling the park during the operating season. Briefly follow Route 12 South to Route 15A; Follow Route 15A to Route 15 East; Turn right on Route 15 East. Take the first left onto Garfield Road. Follow Garfield Road for 3.1 miles to the yield sign and turn right (still Garfield Rd.). Take your next immediate left onto Green River Reservoir Dam Rd. Follow to 1.3 miles to park entrance. Remote Camping: Green River Reservoir State Park has 27 remote tent sites, accessible by boat. There are no boats available for rental at the park. Swimming: Plenty of beautiful swimming options are available at Green River Reservoir. Boating: The park does not rent boats. Boats are available to rent through a variety of outfitters in Morrisville and Stowe. Fishing: This is a great park for fishing. Pickerel, small-mouth bass, bullhead and panfish swim throughout the reservoir. This park also participates in the Reel Fun Program. For reservations during the park operating season, call either the park directly or the call center. For reservations during the winter months, call the call center at 1.888.409.7579 (Mon-Fri, 9am-4pm). Reservations for group sites can only be made by calling the park. Welcome to Green River Reservoir State Park. Green River Reservoir became a state park in March 1999 when 5,503 acres were purchased from the Morrisville Water and Light Department. 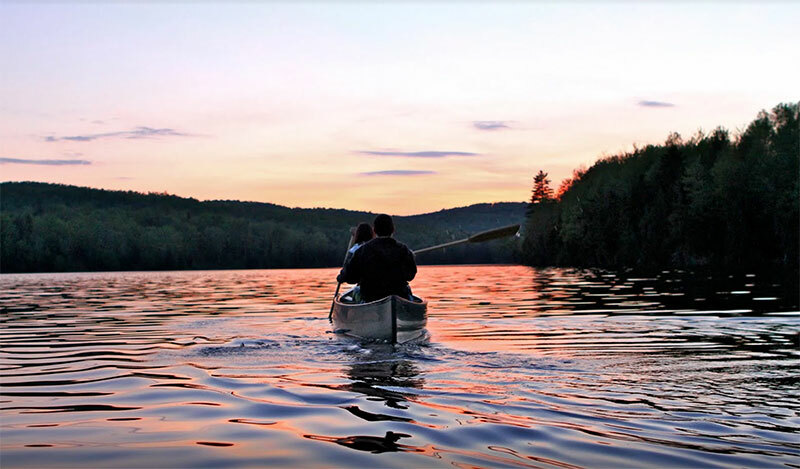 This is not your typical Vermont State Park – Green River Reservoir provides camping and paddling experiences in a remote setting. All campsites can only be reached by paddling to them - some are a 1 to 2-mile paddle from the launch site. The park will remain in its wild and undeveloped condition, with low-impact, compatible recreational use allowed on and around the Reservoir. Management activities will be only those necessary to maintain the property’s character, protect the environment and critical resources, demonstrate sustainable forest and wildlife management, control excessive recreational use, and ensure high-quality outdoor experiences for visitors. 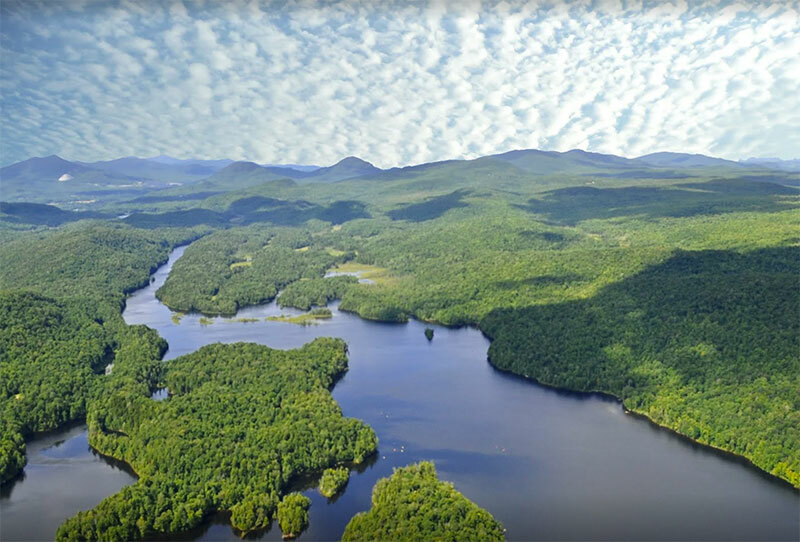 The 653-acre Reservoir includes about 19 miles of shoreline, one of the longest stretches of undeveloped shorelines in Vermont. Access to the park is in the southern part of the Reservoir off of Green River Dam Road. The Reservoir is designated as a “quiet” lake under Vermont “Use of Public Waters Rules.” Boats powered by electric motors up to 5 mph and human-powered watercraft (canoes, kayaks, etc.) are allowed. There are 27 remote campsites at various locations around the Reservoir. Camping is allowed only at designated campsites and can only be reached by boat. Each remote site has a maximum site occupancy based on the characteristics of the site. There are two designated group campsites that can accommodate up to 12 people each. Some campsites are closed each season and rehabilitated due to overuse through the years. There is also an ADA accessible boardwalk that leads from the parking area to an accessible boat launch. The best way to protect all sites is by using a portable stove instead of a campfire for cooking. Please carry out what you carry in and leave no trace of your visit. The park does not rent boats. Visitors are responsible for bringing their own watercraft. Kayaks and canoes may be rented nearby through a variety of outfitters in Morrisville and Stowe. Day use is allowed on the reservoir in limited numbers. Please do not use campsites for day use activities. There are designated day use sites where fires are permitted. Please build fires only at these sites and in the provided fire rings. Respect the areas of the shoreline that are closed to use for re-vegetation of the sites. Group Use: In order to provide a primitive camping/paddling experience, only two groups of 8 to 12 (maximum) people are allowed for either camping or day use at one time. Group permits are required for day and camping uses during the season. A license or special use permit may be needed for group activities during the off-season. Please contact the park directly to reserve group sites. Parking: Parking is extremely limited and is available on a first come, first serve basis. Once the parking areas are full, visitors will not be allowed to enter the park.